This is a 2018 Parker 2300 Special Edition Center Console, powered by a Yamaha F200 XB Motor. Options include Gunmetal Grey Gel Coat Colored Hull Sides, Aluminum T-Top w/ Black Canvas Enclosure and 6 Rocket Launcher Rod Holders, Electronics Box for T-Top, Wings for Enclosure, L.E.D. Spreader Light, Folding Footrest for Livewell, Underwater Lights, Position Indicators for Trim Tabs and more!  This Center Console boat is in-stock and available for showings today. We Are Open 7 Days A Week For Your Convenience, So Call Or Stop By For A Quote. The moment you step aboard the sporty and refined center console models, the best experiences in life begin to take shape. Whether inshore fishing, water-sports with family or offshore trolling, the variety of center console models help you to achieve the right balance and arrive in style. Parker’s Special Edition (SE) center consoles offers Mod-V hulls and forward platforms for additional seating or casting to provide flexibility for both inshore or offshore use. The low hull sides of the Big Bay and Gulf Coast Editions allow ease of use for the avid wade fisherman when navigating the shallows. While Parker’s Deep-V (CC) center consoles, with its sharp entry and wide beam, are ready to handle the sporty and extreme offshore conditions with ease. From sunrise to sunset, you can choose from the many scenic routes the coastal waters have to offer.